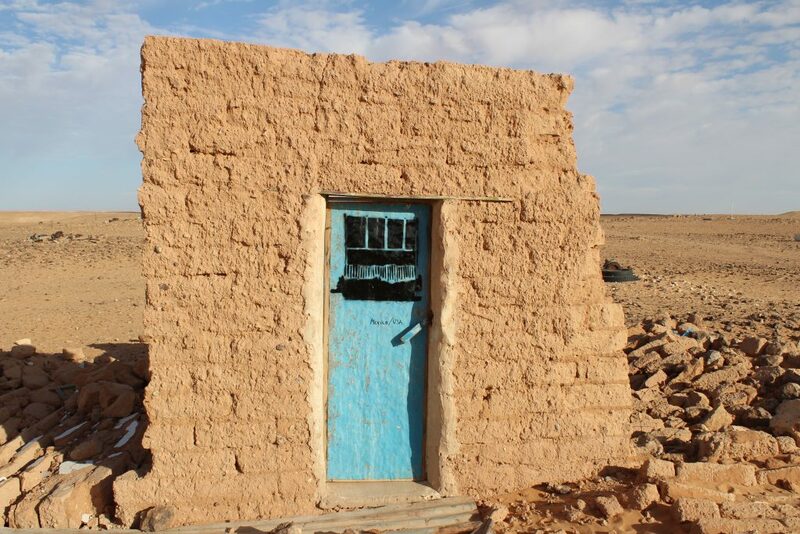 The ruins of people's houses were caused by the heavy rainfalls of 2015, where adobe brick crumbled like sugar cubes under water. 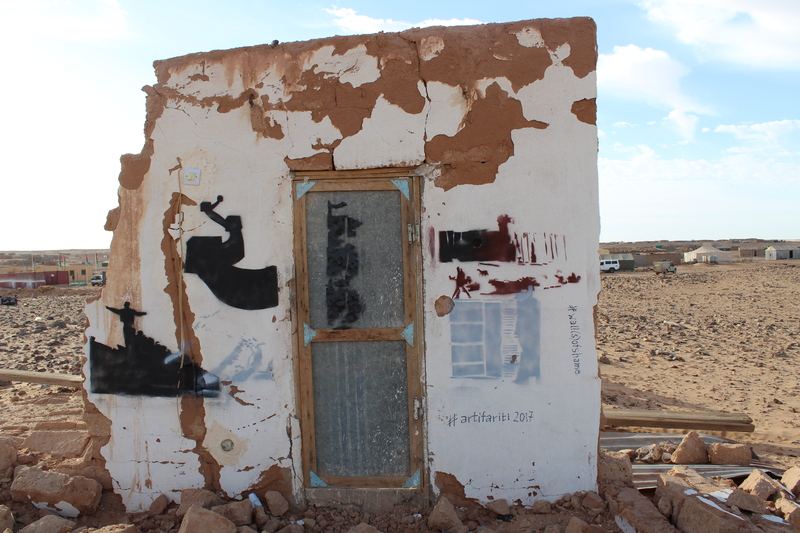 Not only the housing but food and medicine were destroyed, in some cases up to 95%. 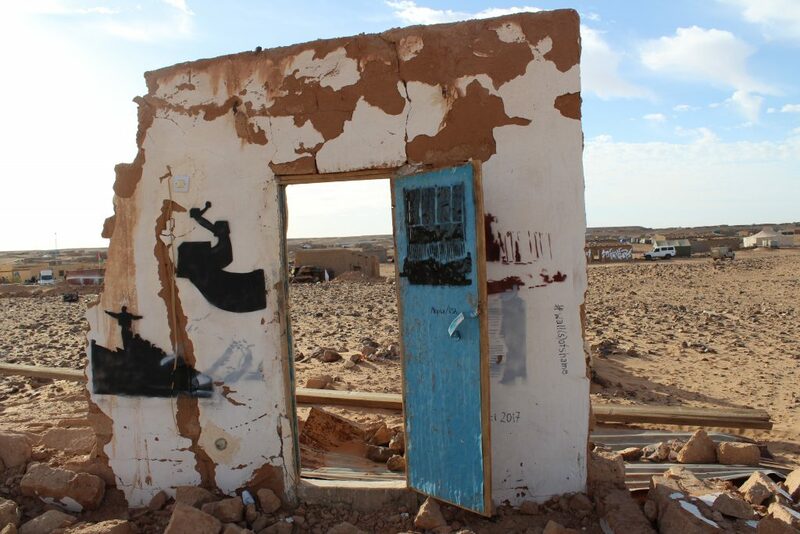 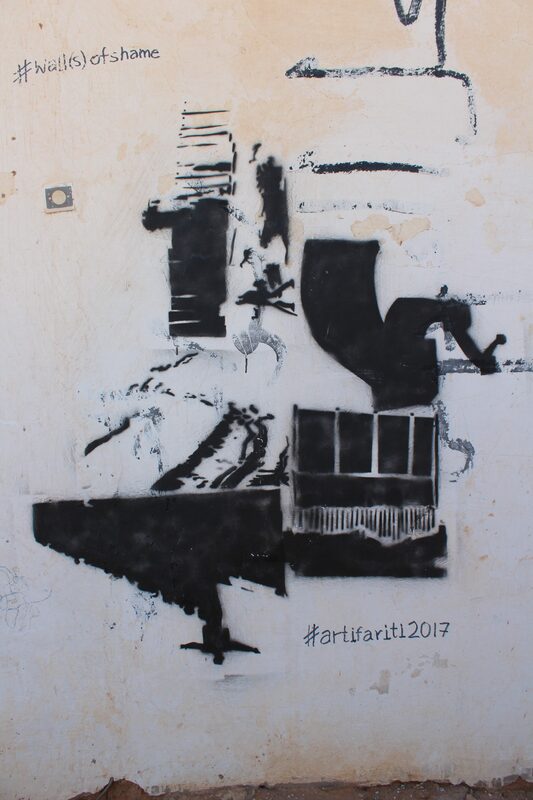 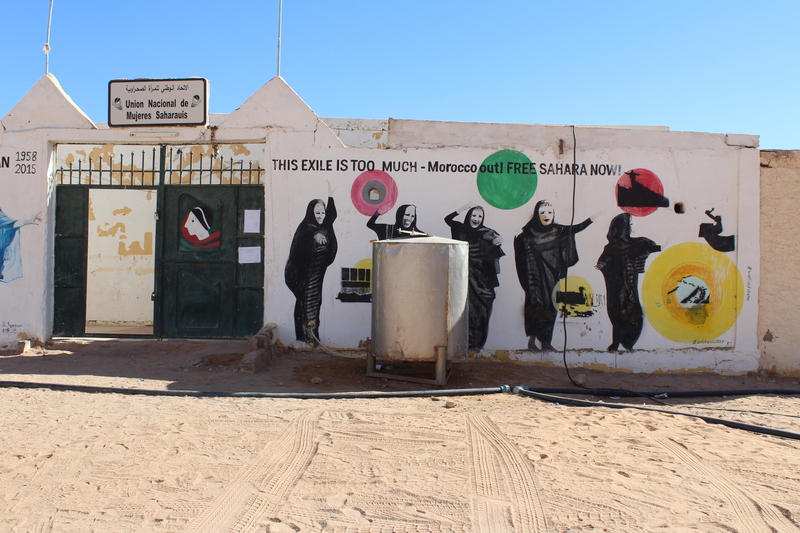 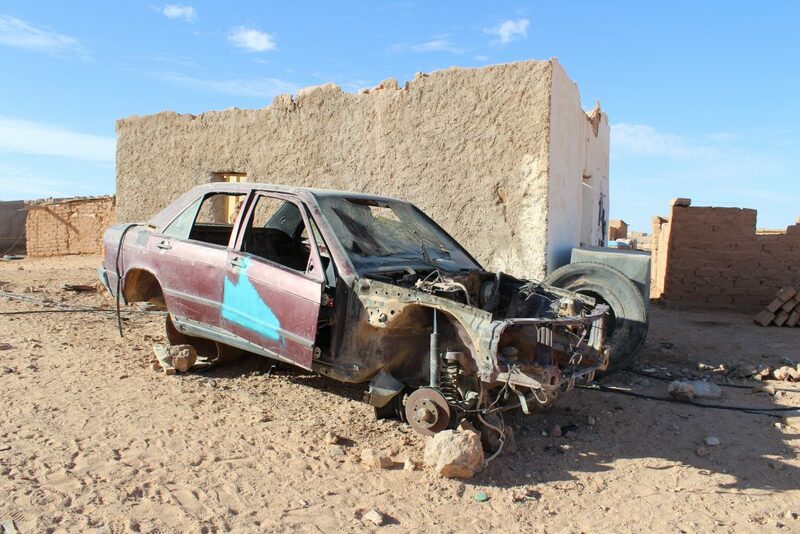 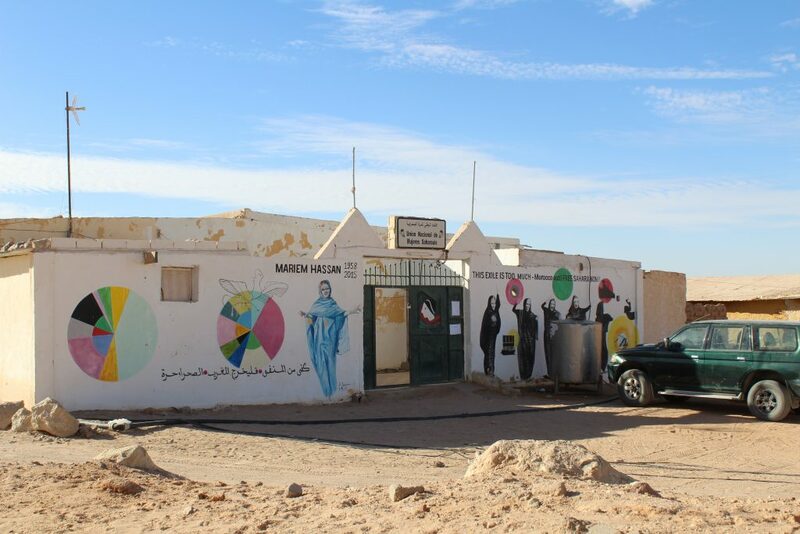 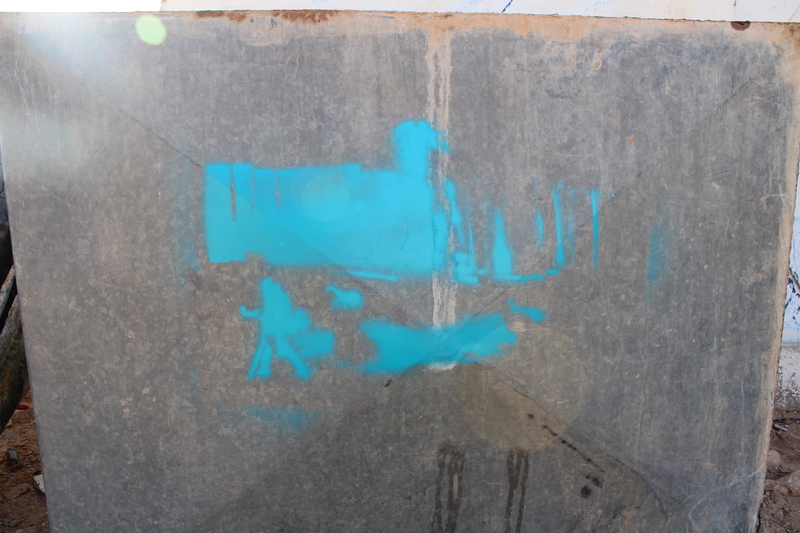 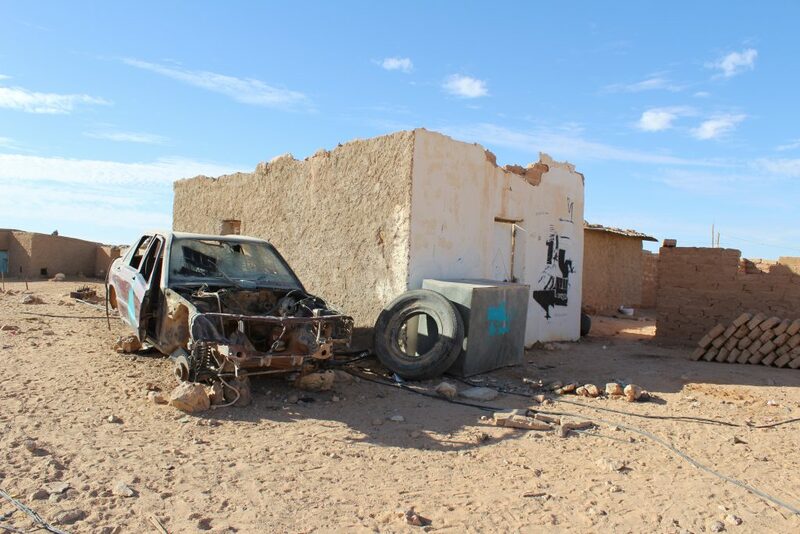 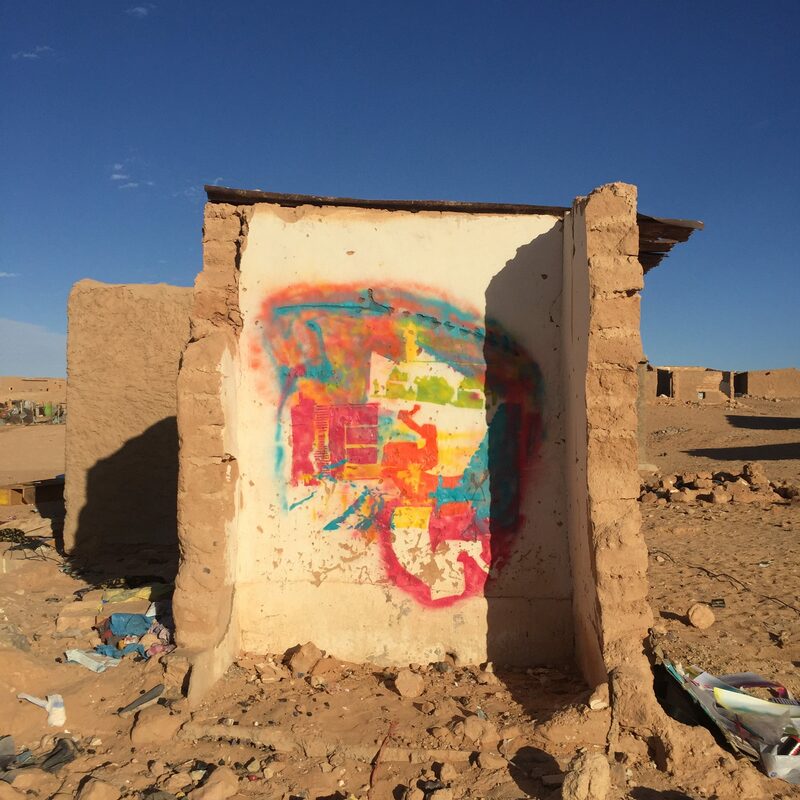 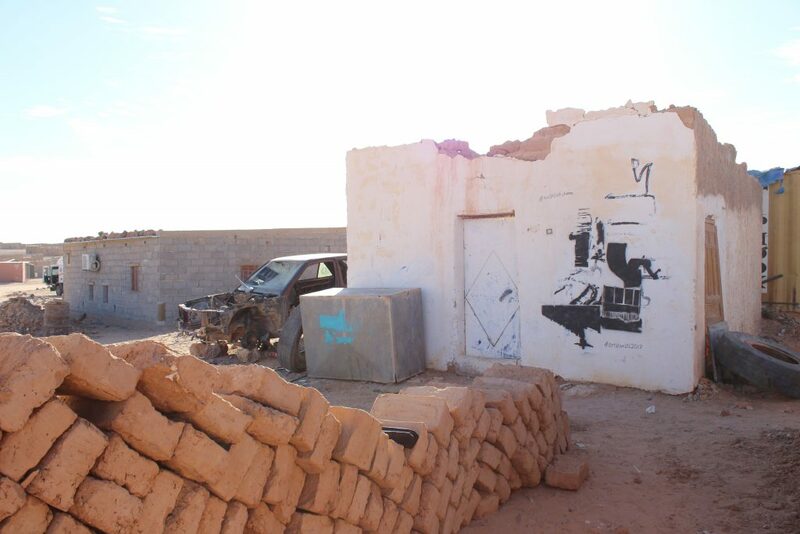 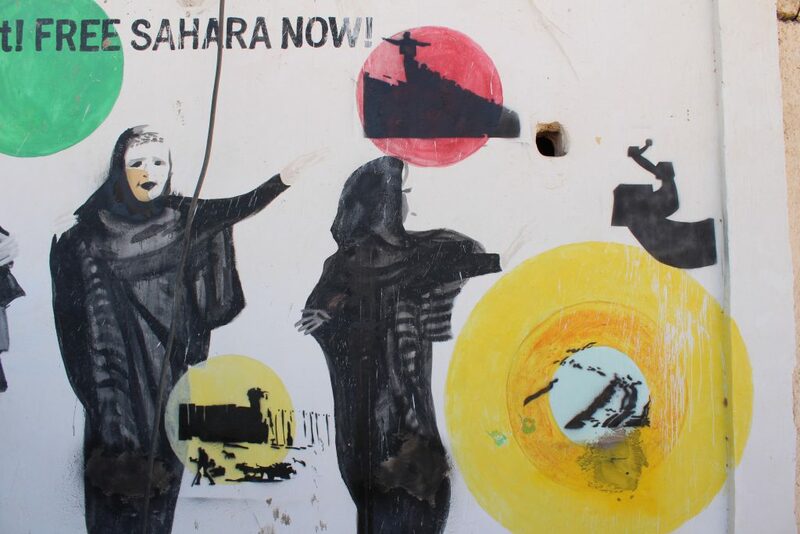 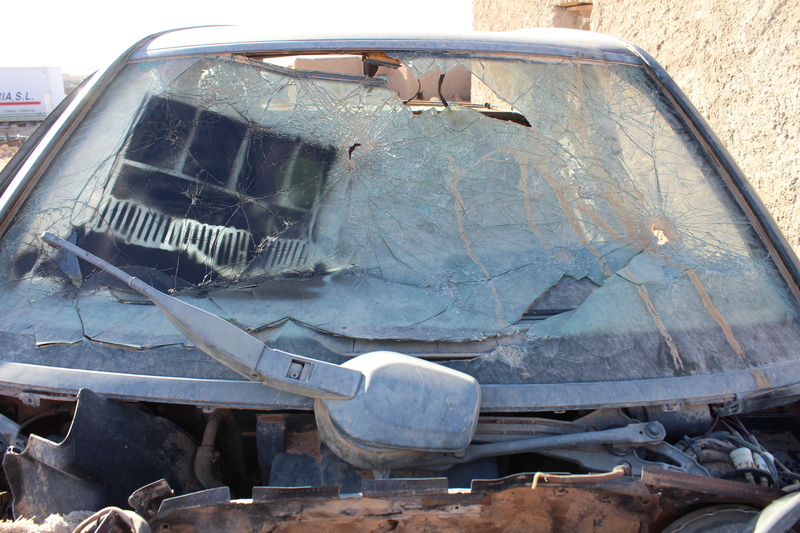 The mural of Mariem Hassan made by me in 2015 on the outside of the women's union (UNMS) in the center of Boujdour, Tindouf, Algeria, was altered with the same stencils.